What Are Frameless Kitchen Cabinets? 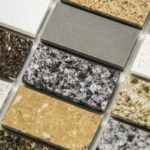 Kitchen Cabinets and Granite Countertops, Pompano Beach FL > Blog > Blog > What Are Frameless Kitchen Cabinets? When buying new kitchen cabinets there is an important question you’ll need to consider: do you want framed or frameless cabinets? You don’t have to take a stab in the dark and guess which kind you think you want. 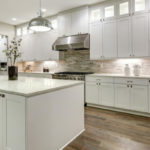 Knowing the differences, advantages and drawbacks to frameless kitchen cabinets will help you make an informed decision you remain happy with years down the road. Framed cabinets include a frame around the front cabinet door; this causes the cabinet to actually protrude out from the cabinet box. Frameless cabinets sit flush to the cabinet box, as they do not have a frame that protrudes outwards. Framed Vs. Frameless Cabinets: What Are The Differences? The differences between framed and frameless kitchen cabinets are pretty noticeable. Framed cabinets are the more traditional cabinetry used to construct even the very first cabinets. The rails and stiles create a 1-1/2-inch face “frame” that sits on the front of the cabinet box and is noticeable to the naked eye. A great way to picture it is to think of a framed picture vs. a non-framed picture, the frame offers extra dimension to the picture, just like a framed-cabinet. Frameless kitchen cabinets, exactly as their name suggests, do not have this same outer frame. This offers a more sleek and polished appearance, as the actual cabinet door sits flush with the cabinet frame. Frameless cabinetry is a newer way of constructing cabinets, and was popular in European countries long before making its way to the US. Another name for frameless cabinetry is “full access,” because you ultimately have better access inside of your cabinets without the face frame in the way. Full overlay doors must be used with the hinges directly attached to the sides of the cabinet box. Since frameless construction takes away the bulky outer frame, you obtain a sleeker, more modern appearance. Frameless cabinetry compliments almost all décor styles. Frameless cabinets are thicker in order to make up for the strength of not having a frame. This is a benefit many people are not aware of, but it’s actually the only way a frameless cabinet can maintain the same strength as a framed cabinet. It works to your advantage because cabinets are stronger and capable of lasting longer. There is no center stile going down the middle of the cabinets, as there is with traditional framed cabinets. As a result, it is much easier to access everything inside of your cabinets. It’s also harder for things to get lost and go bad, or be repurchased unnecessarily. This also provides you with additional storage space. 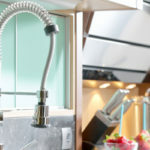 It may only seem like a few extra inches but this adds up when you take into account all of the cabinets in your kitchen. You save even more space because there is no face frame attached to the door. Framed cabinets are sturdy because hinges are secured directly to the actual frame. The actual wood may be thinner than frameless cabinets, but the door is strongly secured in place. Usually, the face frame and shelving are adjustable. Creates a customized, unique look when paired with partial and full overlay, as well as inset cabinet doors. Which Is Best For You, Framed Or Frameless Cabinets? Frameless cabinets tend to be the more economical option because the overall construction is more simplistic compared to framed cabinets. The additional frame that must be constructed and secured into place equals additional labor and materials. That being said, you shouldn’t let the cost alone dictate the best option for you. If you want a cleaner looking kitchen with simple lines, it’s wise to consider frameless cabinets. On the other hand, if you’d like more ornate detailing, framed cabinets may remain the best option for you. 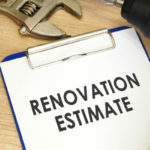 We encourage our clients to do some digging and look at as many pictures as possible of both types of cabinets, only then will you know which is actually your favorite style. What is your eye drawn to, kitchens with framed or frameless cabinetry? 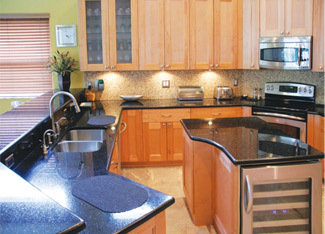 Tops Kitchen Cabinet can help you score the cabinets of your wildest dreams even if you are on a tight budget. We offer wholesale prices on leading kitchen cabinet styles!